The innovative mounting system QL3/QL3.1 which received the Eurobike Award features mounting components that can be fixed to standard racks with a diameter up to 10 mm on the right or left side. Flat mounting elements ensure a smooth back side. Mounting height and angle of the bag are individually adjustable. Single mounting set for 1 either left or right hand side. Can be fixed to racks up to 10mm in diameter. Can be used with any Ortlieb QL3 or QL3.1 bags. 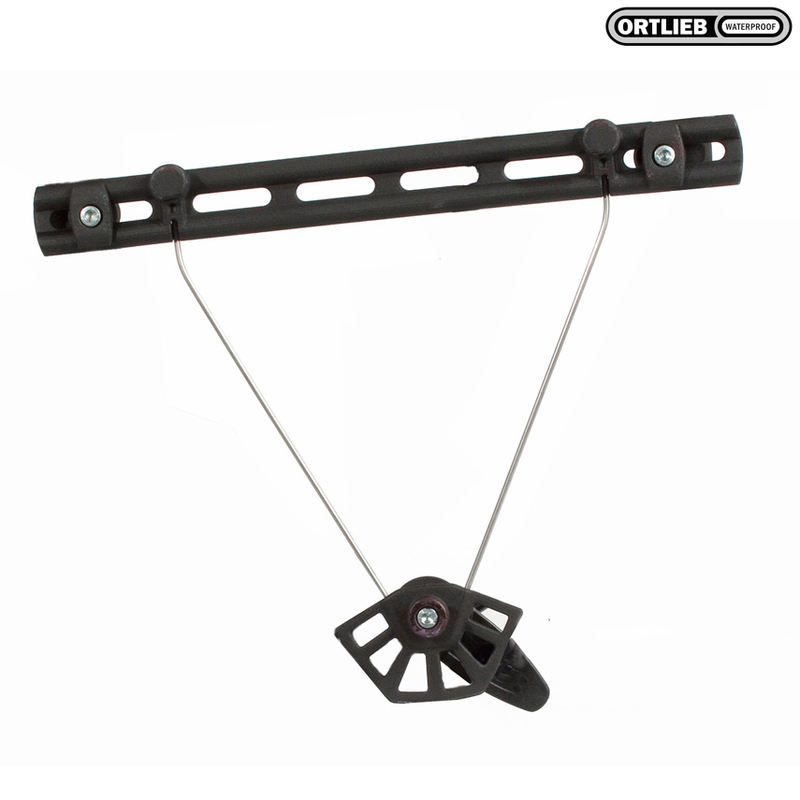 I would like to convert a pannier i own to the Ortlieb mounting system. Can I just fix the QL3 or QL3.1 system to my bag? Unfortunately not, this QL3.1 mounting system actually fits directly to the rack and then there are separate clips on the bag which clip on an off of this mount. The clips that are on the bag are are unfortunately not available as individual replacement parts.